Stand to attention when the Colonel walks into the room! | The mind is an unexplored country. Stand to attention when the Colonel walks into the room! Okay – so when I said ‘Later today’ what I obviously meant was ‘Later this week. On Independence Day, actually.’ Sounds legit, right? 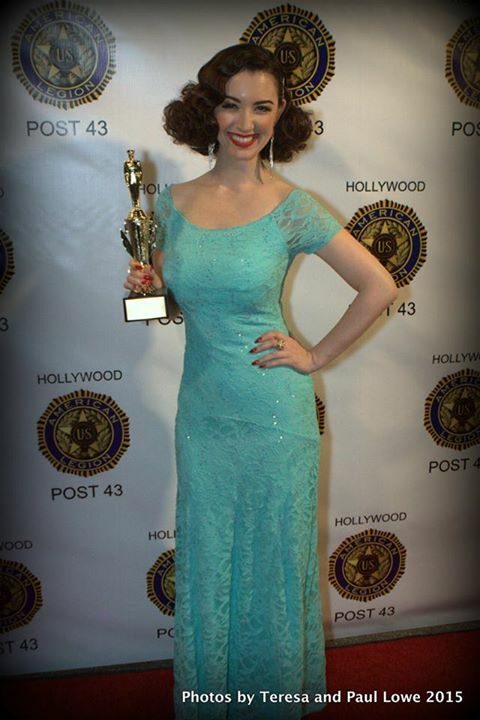 The people at American Legion Post 43 in Hollywood obviously know a good thing when they see it. 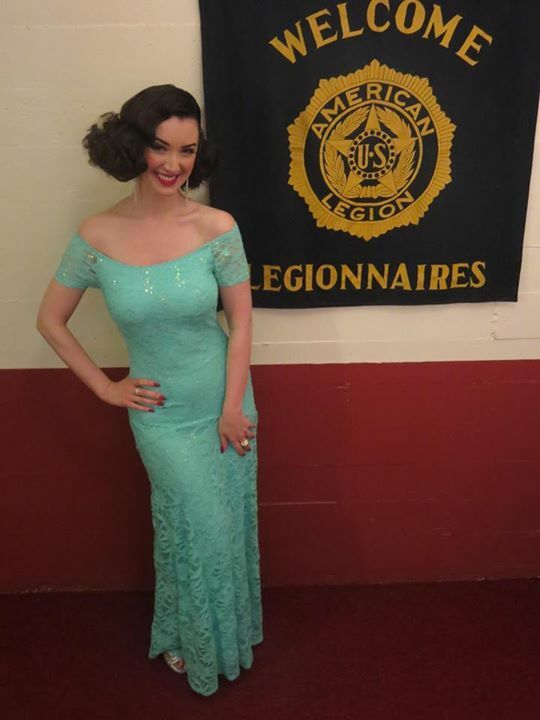 This Post has hosted two Pin Ups For Vets events, and last month recognised the Pin Up In Chief herself, Miss Gina Elise, with the rank of Honorary Colonel. That ‘Honorary’ bit doesn’t count for much, though. Not when there are supporters and fans all around the world who would happily obey any order from Gina. I’m just saying. Hell, I would happily jump at a command from any one of Gina’s lovely Pin Ups For Vets Ambassadors. 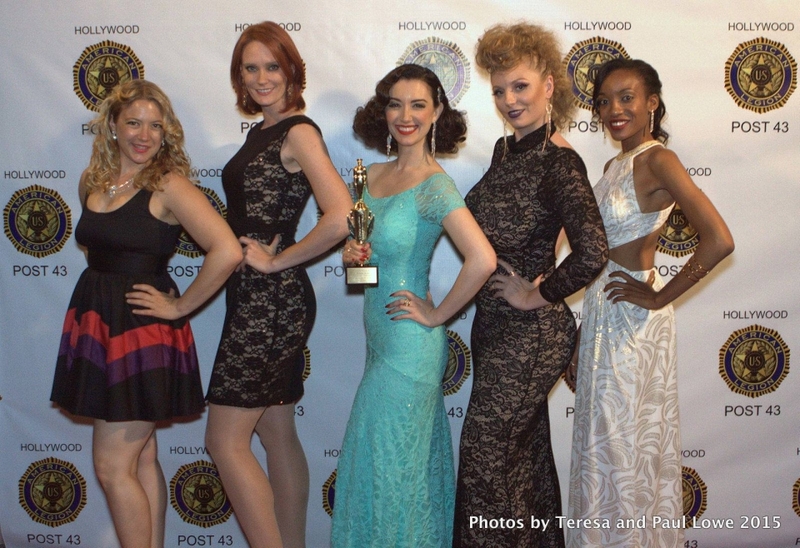 A few of these fine ladies accompanied Gina at the awards night. I could see myself washing the lawn and mowing the car for any Ambassador without question. Without pausing to even draw breath, much less raise a query. Trust me, I’d find a way to mow that damn car. 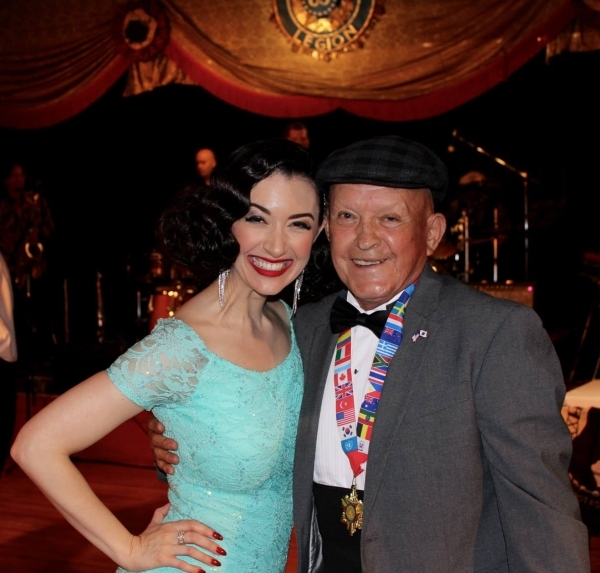 Gina and Korean War veteran Mike. Nice to see you keep Australia close to your heart, Mike! 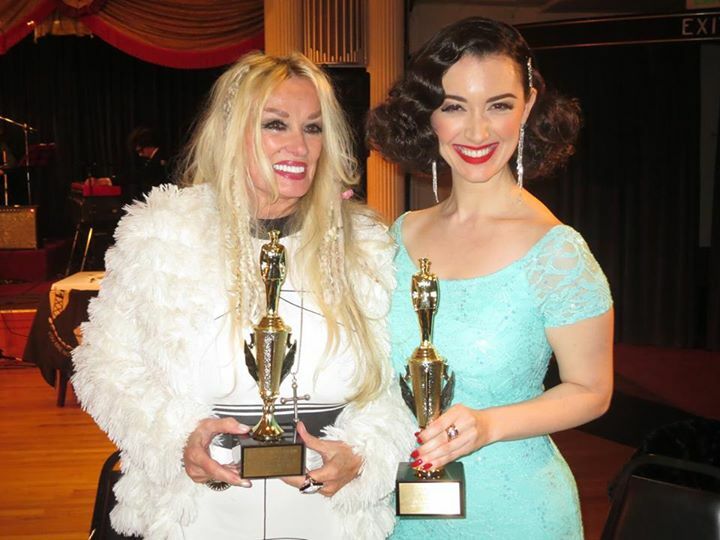 The presentation was a double-barrelled event, with Hollywood hottie Mamie Van Doren also being made Honorary Colonel. Mamie won’t have any trouble getting the car mowed, either. During the Vietnam War she organised herself over to the front and entertained the troops for three months. Let’s have ourselves some Mamie. All photos of Miss Van Doren link back to their source sites. And I recommend you pay a visit to Mamie’s own website. Let’s just say that she’s a lady with lots of stories that she’s not shy about sharing. « Hello, hunter. I’m the prey.